The former Virginia Cavalier is back in the tournament playing for a new team. 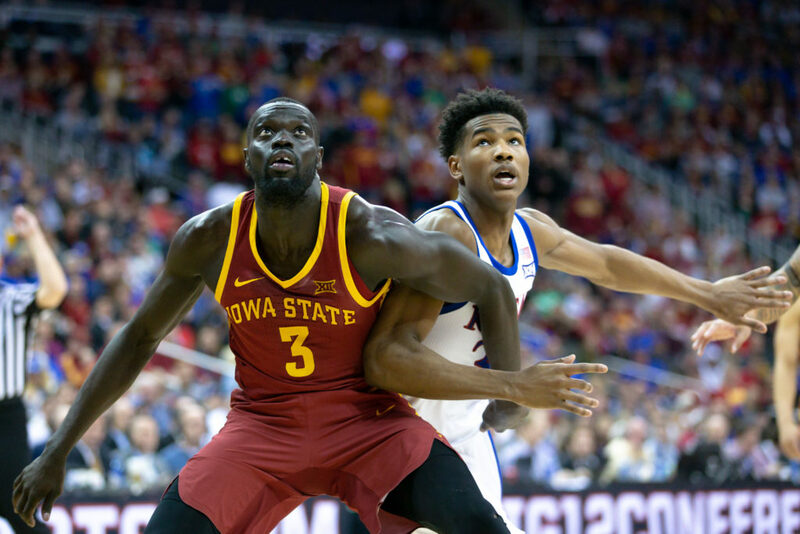 Shayok has been Iowa State’s best player all year, having led the Cyclones through a tough trio of opponents (Baylor, Kansas State, Kansas) en route to a Big 12 Tournament Championship. 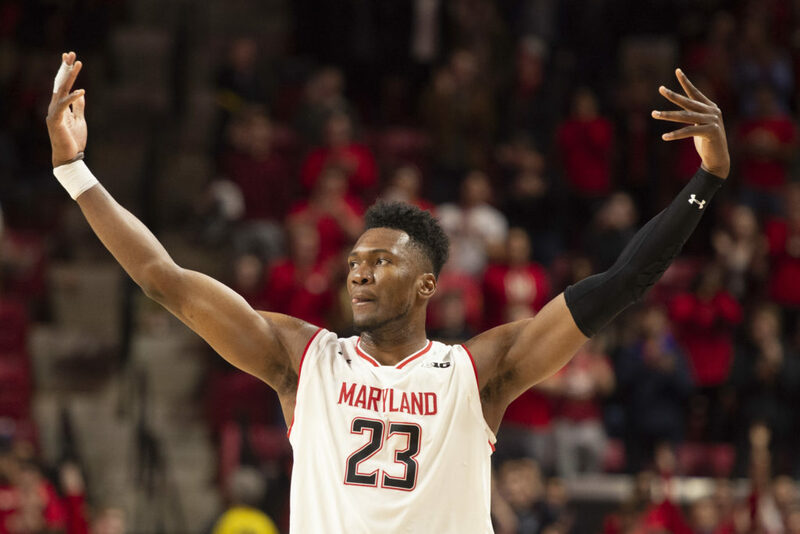 A superb athlete, the 6-foot-6 Shayok can defend virtually any position on the floor, and has enjoyed his most efficient season as a scorer (49.4 FG/38.9 3PT/88.3 FT). Reid already looks ready for the NBA. The former McDonald’s All-American possesses a legit NBA-ready body, and boasts the modern day skill-set teams around the league covet. The 6-foot-10 forward has a nice touch around the basket, runs well, and can stretch the floor beyond the three-point line. 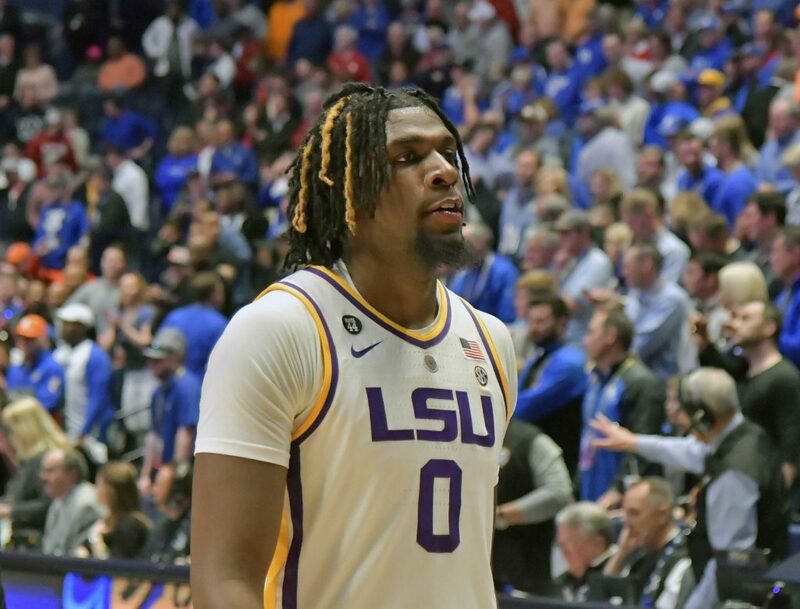 A potential lottery pick, all eyes will be on Reid as LSU attempts to make a deep run in this year’s tourney. The more offensively-inclined of the twins, Caleb Martin is the best scorer on a team that just finished the year 29-4. 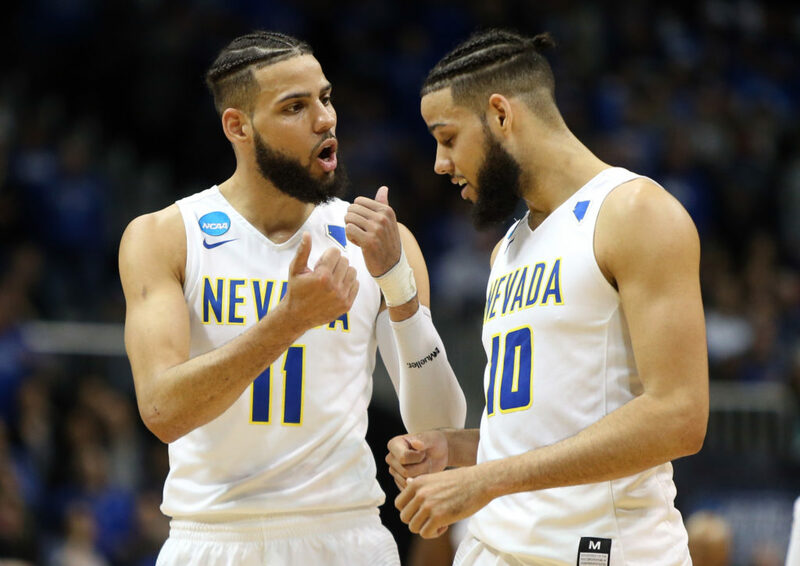 Nevada’s lead guard is a heady player who can fill it up from every level. While he can get a little trigger-happy from beyond the arc at times, Martin has the ability to get hot in an instant. His 6-foot-7 frame creates matchup problems for teams on both ends. 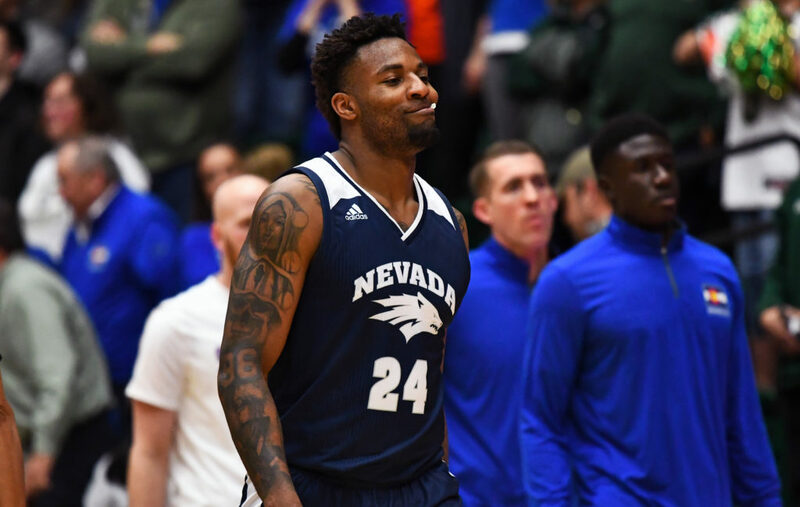 When he’s knocking down shots and making plays on both ends, Nevada becomes a serious contender. Fernando is the best NBA prospect you’ve probably never heard of. The Angolan native has quietly risen up draft boards over the season, and it’s not all that hard to see why. With a rangy 6-foot-10 frame, Fernando is a capable rim protector who can finish plays on the offensive end. In a conference filled with talented bigs, Fernando finished second in rebounds (10.4), fourth in blocked shots (1.94), and second in field-goal percentage (61.8). 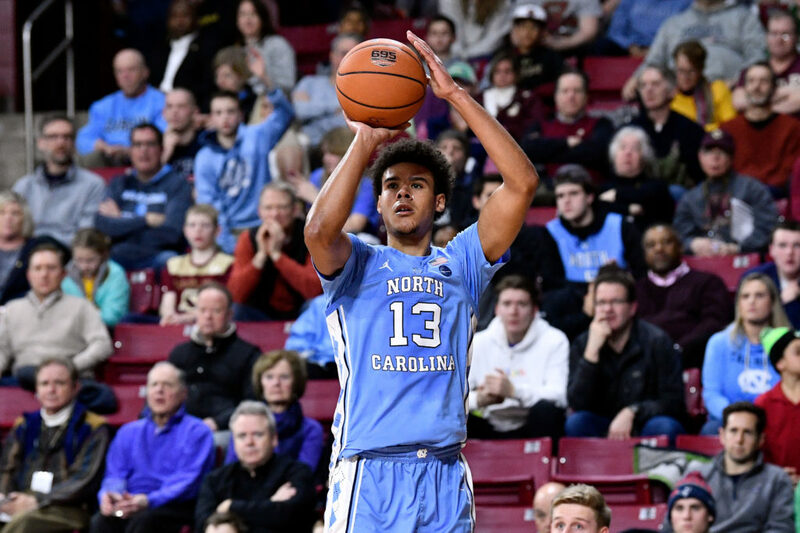 Having a sweet-shooting 3-and-D wing has become a staple on Roy Williams’ North Carolina teams. Johnson is the latest deadeye shooter in Chapel Hill. 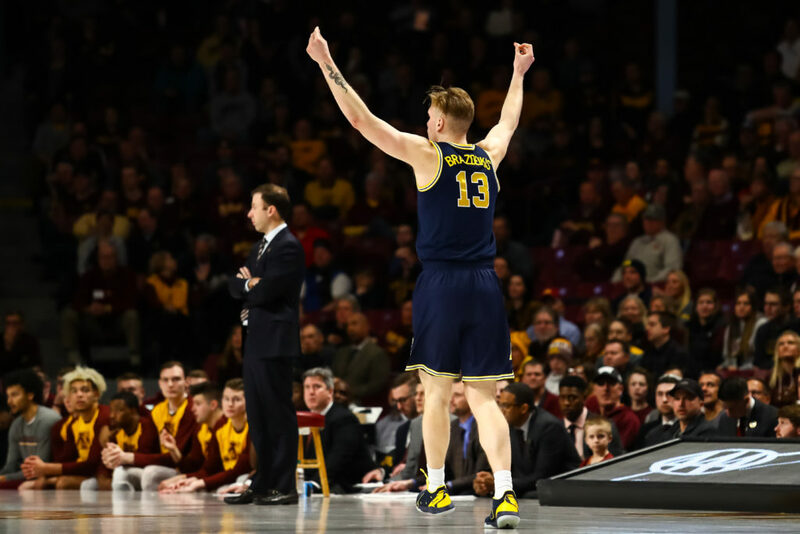 The 6-foot-9 Pittsburgh transfer is knocking down 46.5 percent of his threes, and has scored in double-digits in all but two games this year. 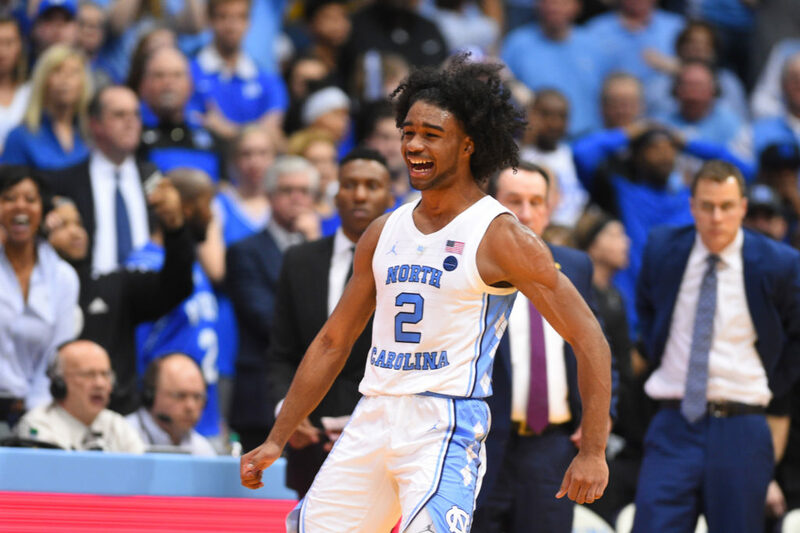 With Coby White, Luke Maye, and Nassir Little causing fits in the paint, Johnson provides the Tar Heels with an extra dimension in the way of spreading the floor. 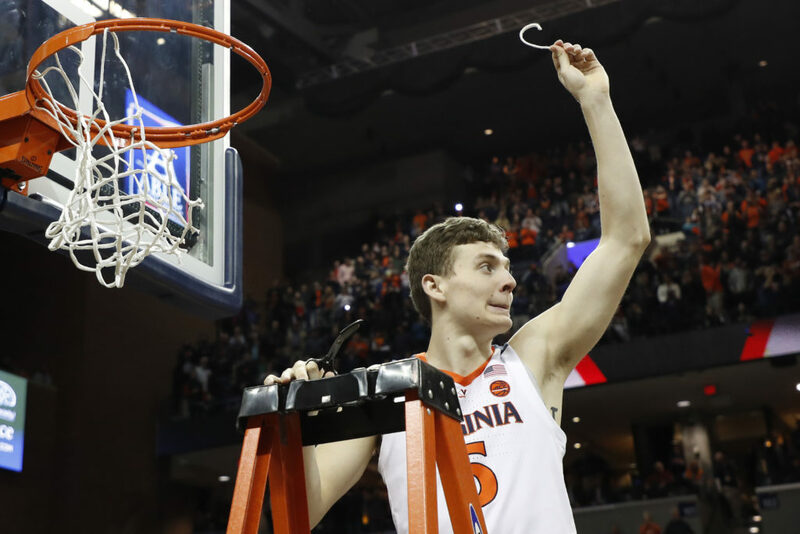 With two seconds left on the clock, down by three points needing a basket, is there anybody in college basketball you’d rather have than Kyle Guy? The Virginia guard is a sniper from long range, and needs virtually no time to get his shot off. Guy has range well beyond the NBA line. He’s hitting nearly 47 percent of his three-point attempts since January, and is a far more capable defender than given credit for. 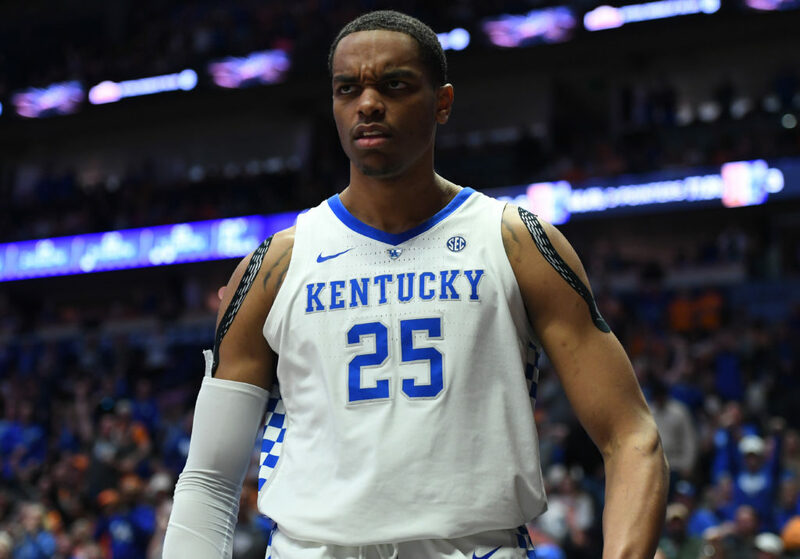 Staying an extra year at Kentucky turned out to be a wise decision for Kentucky’s PJ Washington. The 2017 McDonald’s All-American has blossomed in his second year in Lexington, emerging as an efficient finisher and impact defender. Additionally, Washington’s newly-developed outside game has opened up the floor for Kentucky’s athletic slashers. He’s the quintessential glue guy who will be integral to Kentucky’s long-term success in this year’s tournament. Caroline is a funky player. Whilst possessing a burly frame, Caroline does have the capabilities of playing both inside and out. He’s not bashful about taking players off the dribble. Duly, Caroline shoots a respectable 38 percent from three-point range. As a ‘mini’ Draymond Green, Nevada’s postseason hopes largely sit on Caroline’s shoulders. If he’s humming, the Wolfpack are a dangerous bunch. Clarke is a pogo stick of an athlete. He’s averaging 3.0 blocks per game — and thus is one of the country’s best at protecting the rim. 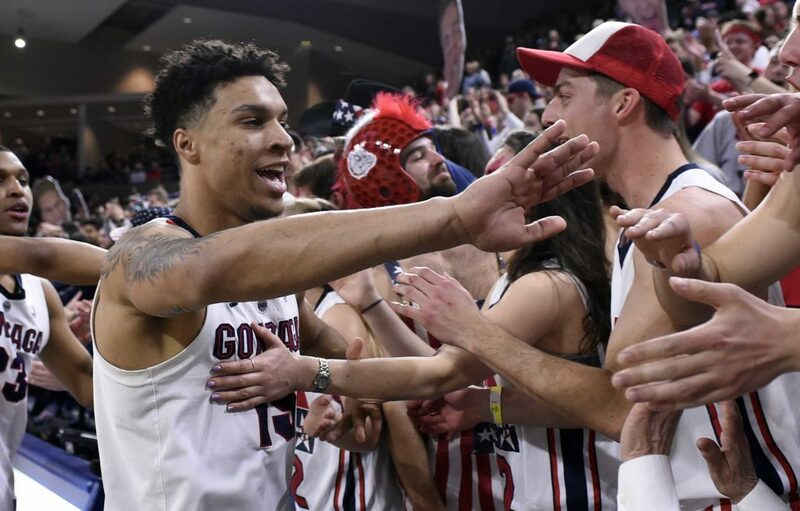 This is a dimension Gonzaga didn’t really have in any of its most recent teams. Playing next to Rui Hachimura, Clark is also phenomenally efficient. The big man is shooting a blistering 71.2 percent from the field. The Bulldogs can ill afford to have Clarke get into foul trouble. While Killian Tillie is a talented player, he’s certainly nowhere close to offering the same sort of impact when compared to Clarke. 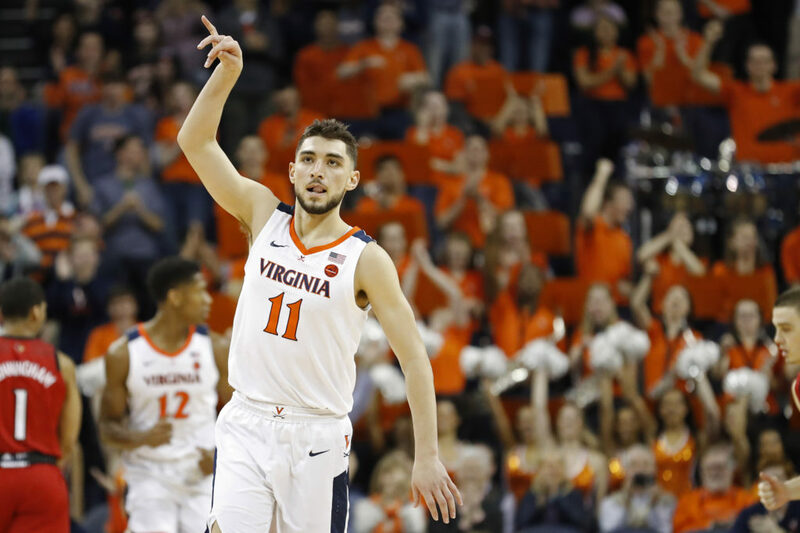 Ty Jerome makes up one-third of the vaunted Virginia trio (along with Kyle Guy and DeAndre Hunter). A steady presence in the backcourt for Tony Bennett, Jerome has an assist-to-turnover ratio of nearly 5:1. Along with that, he averages 1.5 SPG, 13.0 PPG, and is shooting a blistering 39.7 percent from beyond the arc. 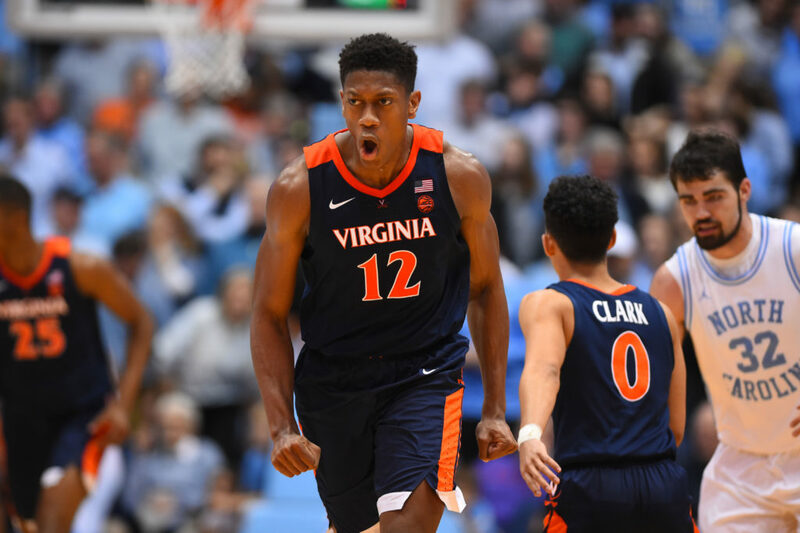 Jerome is integral to Virginia’s potential postseason success. He’s the straw that stirs this methodical yet highly potent drink. Additionally, Jerome’s headiness on both ends of the floor simply cannot be quantified by statistical measures. The senior out of Illinois is enjoying his best season as a collegiate player. Schofield set career highs this year in PPG (16.2), APG (2.1), three-point percentage (.411), and field-goal percentage (.476). 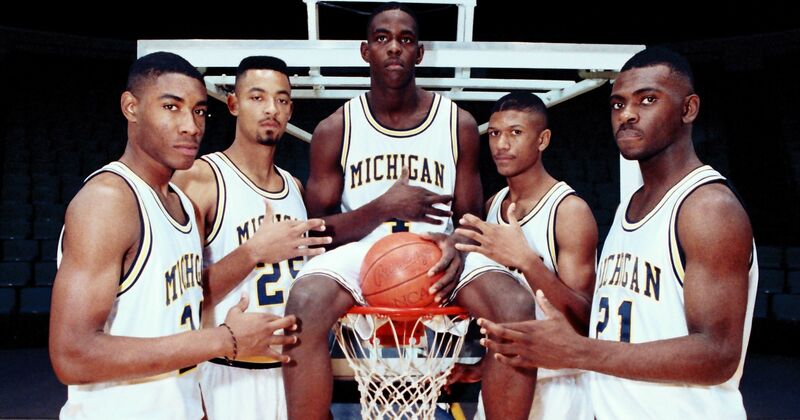 He’s a bit of a throwback player from the standpoint that Schofield is essentially an undersized four. With that said, he’s versatile — and has proven countless times that he can be a real threat from all parts of the floor. 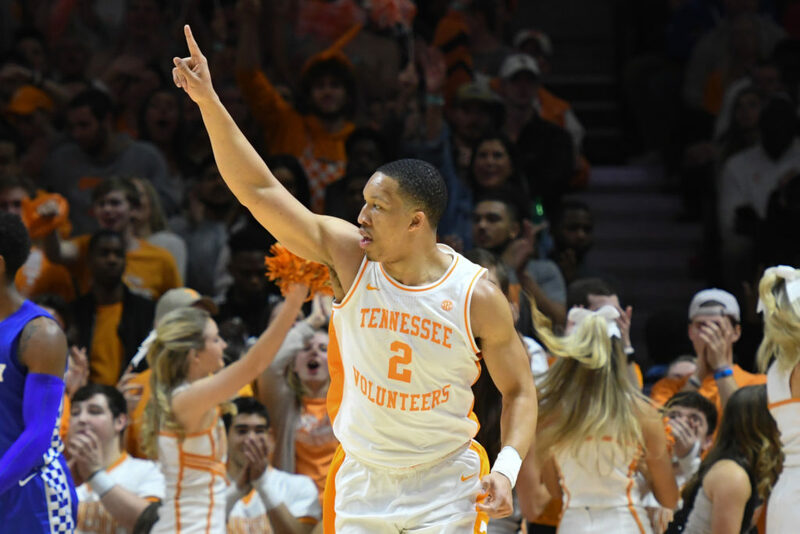 Tennessee will be relying on him to complement Grant Williams — particularly if the offense is bogged down by indecision and lackadaisical play. Happ is essentially a walking double-double. 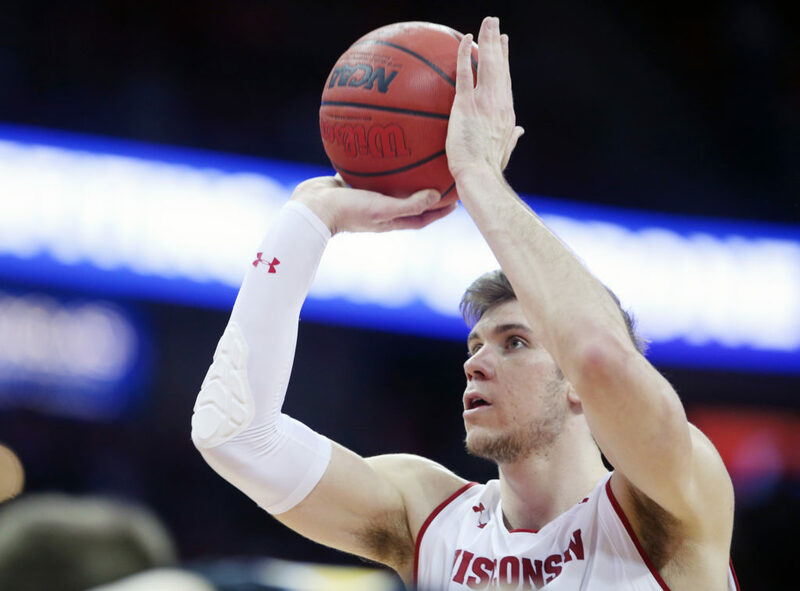 Whenever the Badgers need a bucket, they usually dump it inside to their talented 6-foot-10 big man. Possessing brilliant footwork and a bevy of moves on the block, Happ is averaging 17.5 PPG on 53.1 percent from the floor. He’s also productive defensively, as he puts up 1.1 SPG and 1.3 BPG. His free throw percentage (46.5 percent) is a major issue. Regardless, he’ll be counted on heavily in order to upend the upset-minded Oregon Ducks. 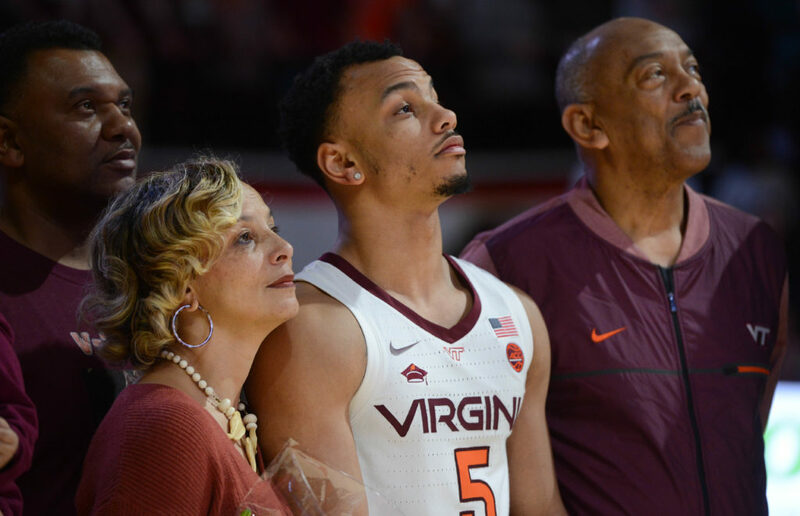 Robinson is immensely important to Virginia Tech. He’s the unabated floor general of the squad. In fact, he leads the team in assists per contest (5.2) and free-throw percentage (82.5 percent). Robinson is masterful at controlling the tempo for Buzz Williams’ team. He knows when to facilitate, and also when to take over himself. Illustrating that point further, he had a game this past January versus Syracuse in which Williams connected on nine threes (out of 13 attempts). Even more impressive, he also broke the Virginia Tech all-time mark for career assists. Texas Tech’s breakneck offensive tempo is often predicated upon Culver’s productivity level. A gigantic wing, Culver can get to any spot on the floor he wants. Few in the country match his ability as a slasher off the bounce. Defensively, Culver’s length and short-area quickness enables him to be a real problem for the opposition. 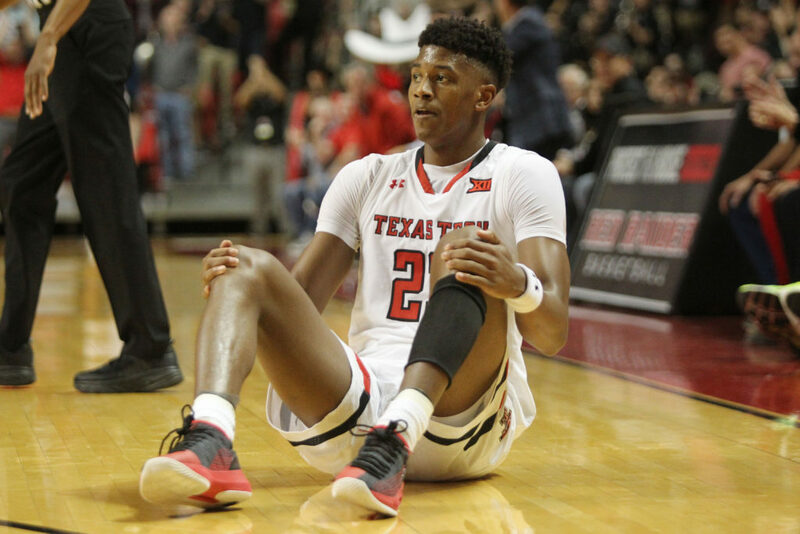 If Texas Tech makes a deep run in the tournament, it’ll likely be because of Culver. 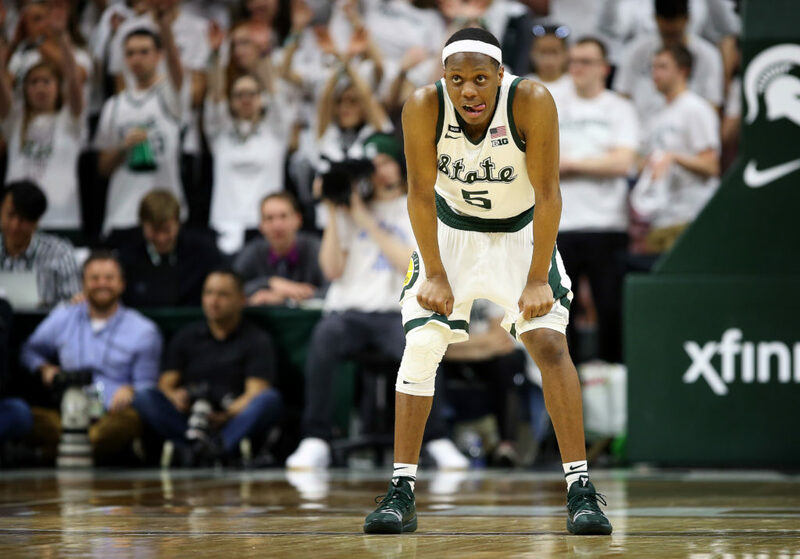 Michigan State’s tournament hopes begin and end with Cassius Winston. 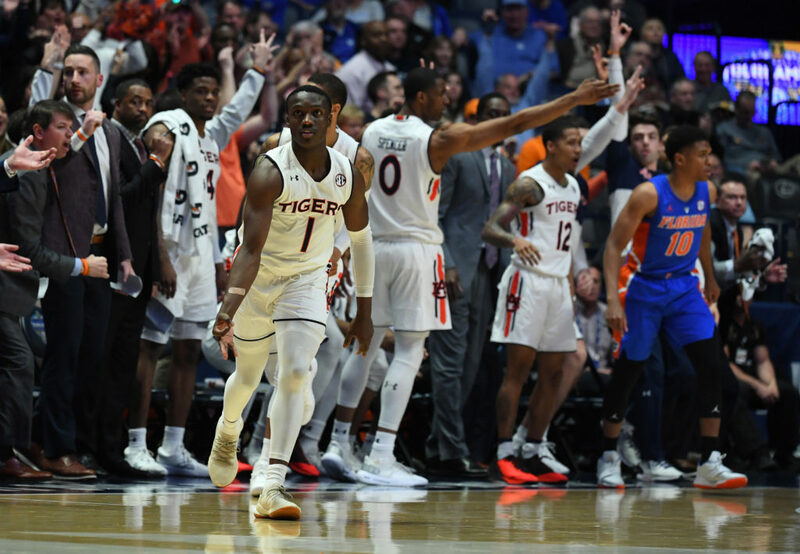 With junior guard Josh Langford suffering a season-ending injury, it was up to Winston to pick up the proverbial slack. He’s done that…and then some. Michigan State won both the Big Ten regular season crown and the Big Ten Tournament. Winston leads Sparty in both PPG (18.9) and APG (7.6). He figures to be one of the most dynamic guards in the field. 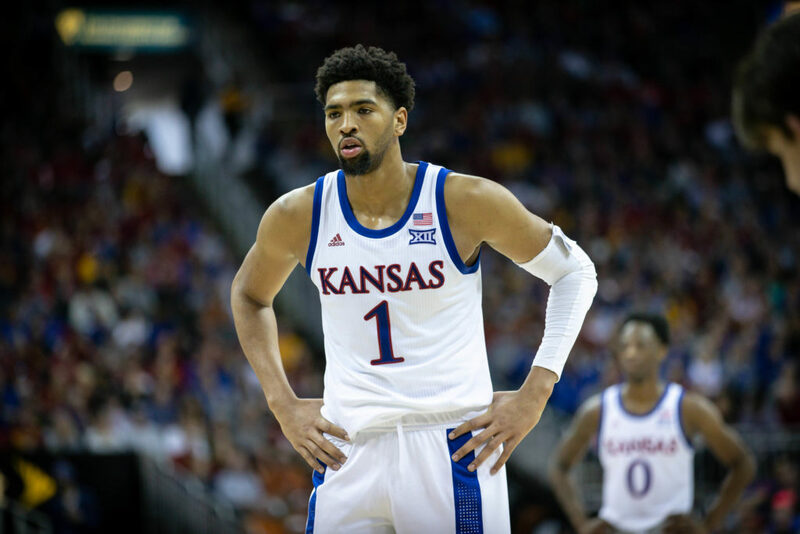 Though Kansas has underachieved relative to its normal success, Lawson has been spectacular. The 6-foot-9 athlete averaged a double-double in his first (and likely only) season in Lawrence. Lawson can manufacture points in a number of ways. He thrives in transition — though also will spot up behind the arc. Stylistically, he’s eerily similar to former Kansas stars Markieff and Marcus Morris. He could be in line for a nice tournament. Kansas certainly needs it — otherwise there’s a real chance Bill Self’s team doesn’t advance beyond the first weekend. Williams isn’t a freak athlete, nor is he a top NBA prospect. With that said, he’s easily one of the most productive players in the country. The two-time SEC Player of the Year is excellent in carving out space for himself in the paint. Williams’ powerful frame is accentuated further by a pair of long arms. This makes him a dynamo rebounding the basketball, finishing in traffic, and also blocking shots. In terms of a complete big man, Williams is as good as there is nationally. Reddish is an unpolished gem at this point. He hasn’t shot the ball well this season. However, one can see his immense upside. Reddish is a bouncy, long, and fluid athlete. He has no issues in getting to the rim. 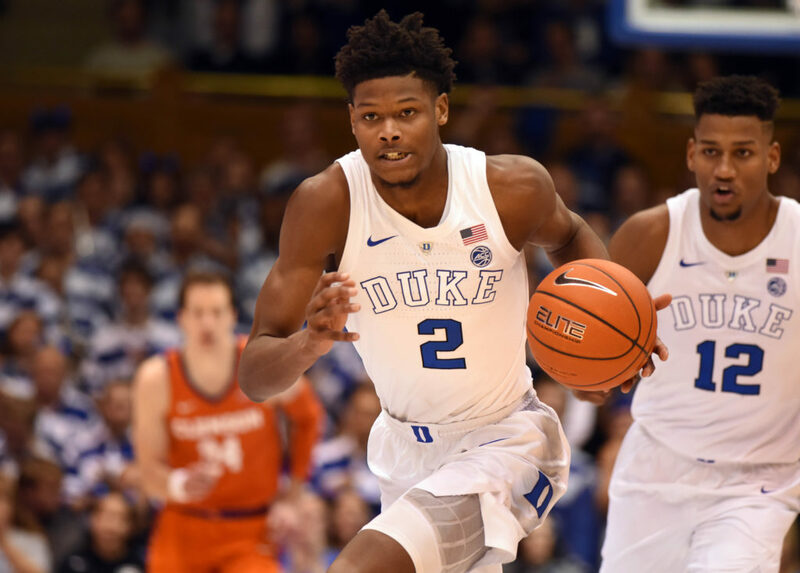 While you’d like to see Reddish connect on more of his shots (39.7 percent from the field, 32.7 percent from three), he will will be a valuable player heading into the postseason. Reddish is the classic case of a guy who will likely be better at the pro level when compared to college. Howard is the epitome of an explosive scorer. It’s quite astounding for a guy to average 25 a night in a major conference — let alone one that’s generously listed at 5-foot-11, 175 pounds. Howard can slither his way to the cup quite easily. Additionally, he’s shooting over 40 percent from three for the third-straight season. With Marquette generally struggling to score the basketball, a lot will be on Howard’s shoulders. 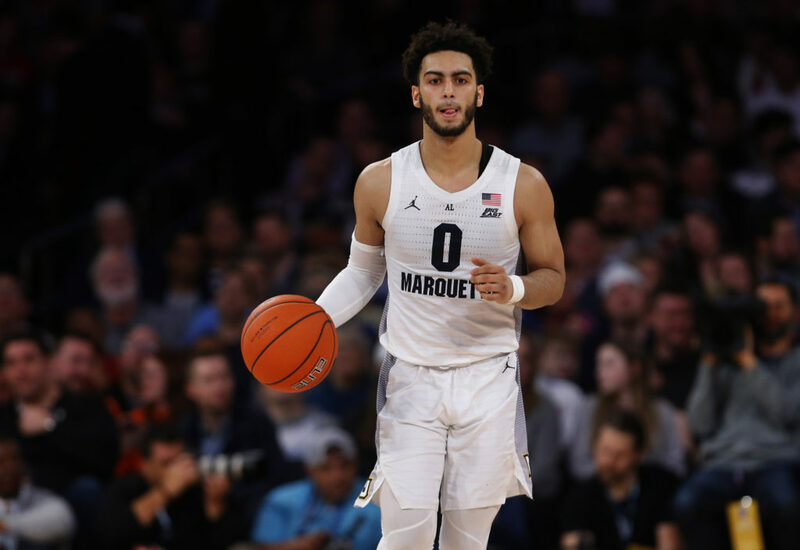 At the very worst, the casual fan should be in for a treat when Howard goes up against a future high draft pick in Ja Morant. For an NBA comparison, think a hybrid between Aaron Brooks and Eddie House. The diminutive guard out of Purdue has been an elite player within the Big Ten for the past few seasons. Edwards is a very efficient scorer. He routinely puts pressure on opposing defenses by being relentless in attacking the paint. When pushed beyond the three-point line, Edwards isn’t shy about launching with reckless abandon (he attempts 10.0 threes per contest). 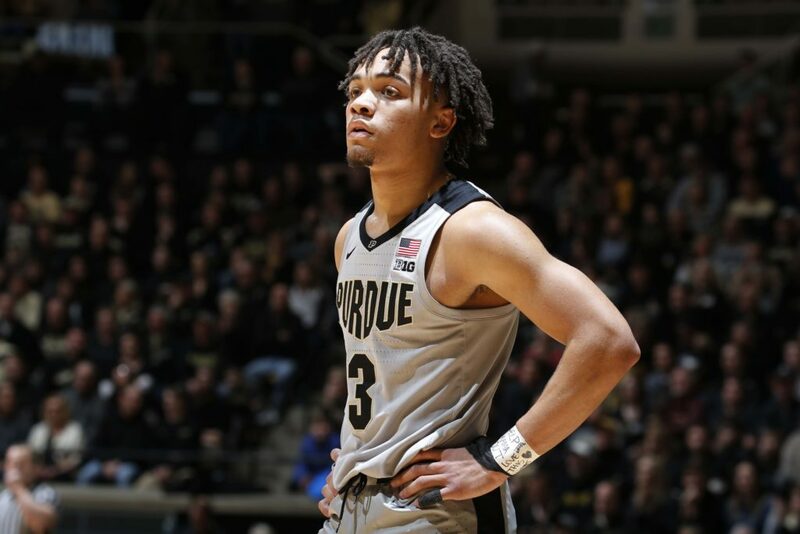 Purdue will be relying on Edwards to carry the team deep into the tournament. If he’s off, the Boilermakers will be ripe for an upset. In a word, smooth. 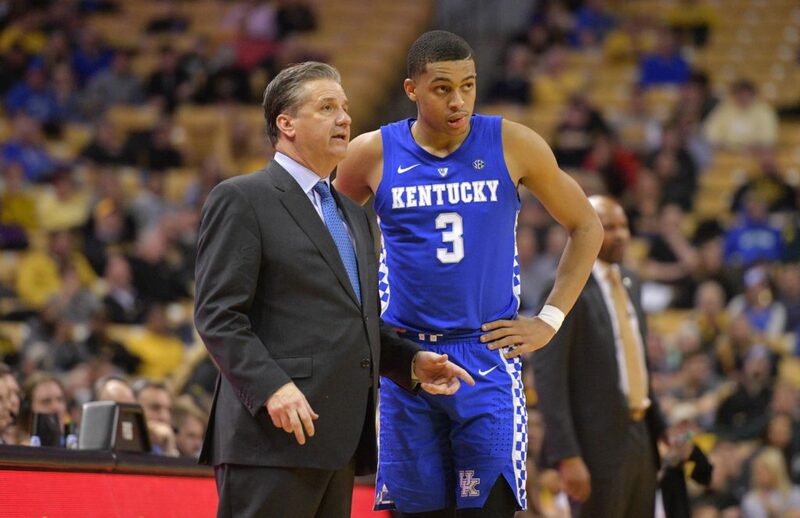 Kentucky’s star freshman is somewhat atypical compared to other John Calipari first-year talents. As opposed to having a game primarily based upon length and explosiveness, Johnson is a heady player reliant on skill over athletic ability. Johnson is third on the team in scoring (13.4 PPG) and second in three-point percentage (38.8 percent). Aside from that, he’s easily Kentucky’s best pro prospect. De’Andre Hunter is the prototype wing in today’s NBA. The Philadelphia native has the versatility to play the 2, 3, or 4. Additionally, Hunter can guard multiple spots on the floor. This is due to Hunter’s combination of above-average athleticism and impressive physicality. Not only that, but Hunter shoots a blistering 45.7 percent from three. While he might not be the type of guy to go off for 40 on any given night, Hunter plays a winning brand of basketball. Barring anything unforeseen, Hunter will be a lottery pick in the upcoming draft this June. 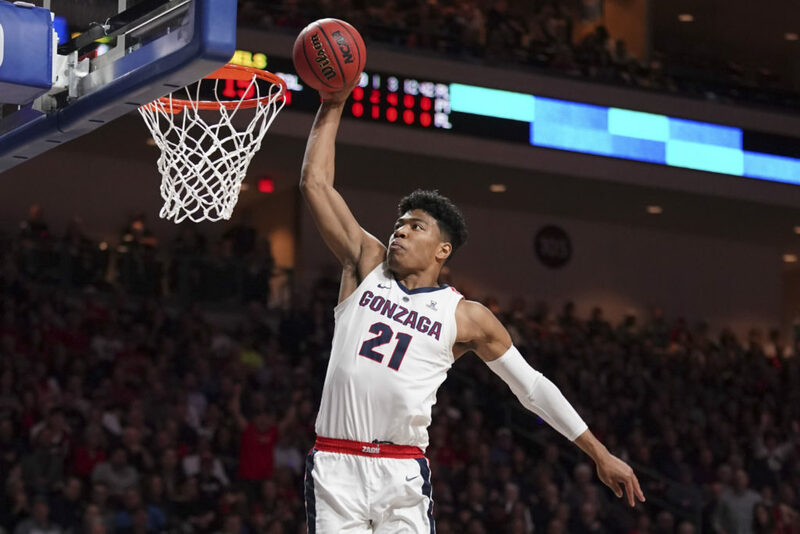 Hachimura is one of the most talented players Mark Few has ever coached (and that’s certainly saying something). While not overly tall for the power forward spot, Hachimura makes up for that with exceptionally long arms, a terrific motor, and very good leaping ability. He can score with either hand on the block, and routinely out-muscles defenders for offensive rebounds. The Japanese-born big man has some striking similarities to the way Paul Millsap plays (though with more athleticism). 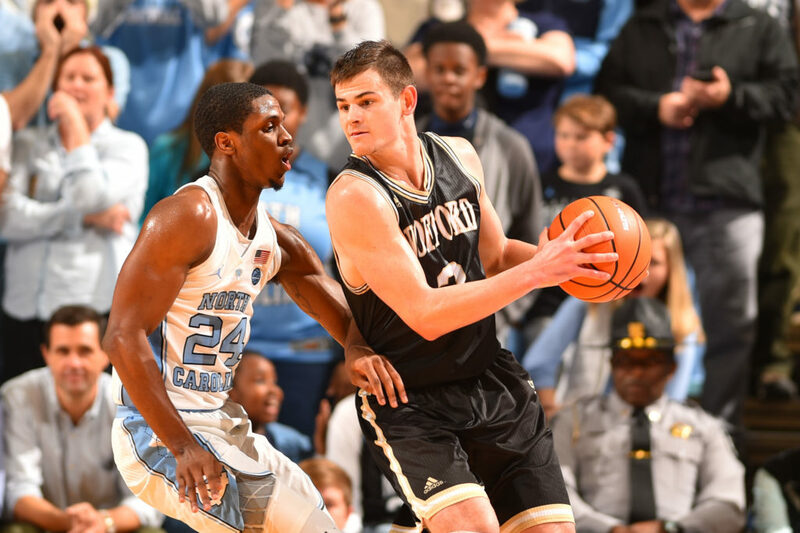 The 6-foot-5 freshman out of North Carolina has been outstanding for head coach Roy Williams. While not a natural point guard, White’s combo skills enable plenty of versatility for the Tar Heels. Defensively, White is an irritant. His length allows him to disrupt players at all guard/wing spots. Offensively, White never lets the moment get too big for him. He’s constantly looking to exploit small pockets of space on the floor en route to the cup. North Carolina looks poised to make a Final Four run this season. With a strong postseason, White may be able to vault himself into the top-five discussion for this year’s draft. Morant is the best player that virtually no one has seen. The casual fan may have heard his name. The more-than-casual basketball fan has probably seen some Morant clips on YouTube. However, he’s no stranger to NBA scouts. Morant projects as a top-three pick in the June draft. A highly explosive point guard, Morant flies up and down the court with tremendous regularity. While he averages 24.6 PPG, he also chips in with 10.0 APG. Morant has scoring guard traits — though also a facilitator’s mentality. 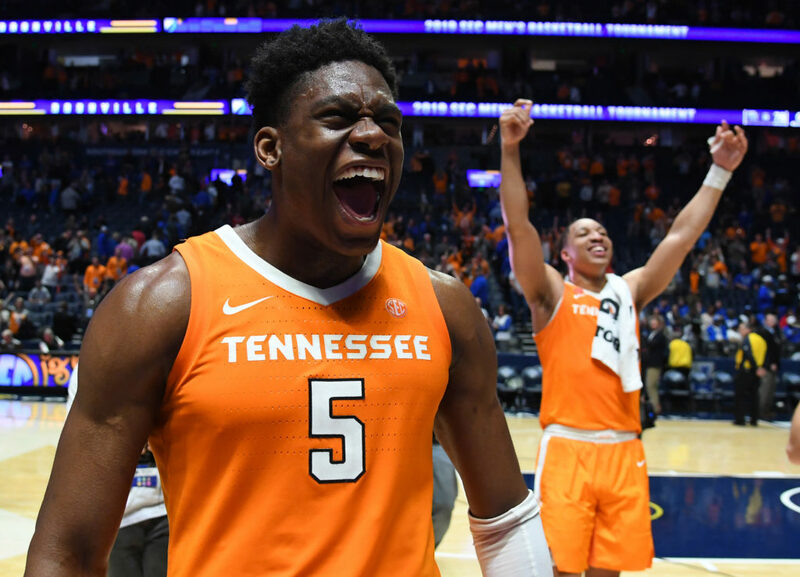 It will be loads of fun watching him go up against Markus Howard in the first round. 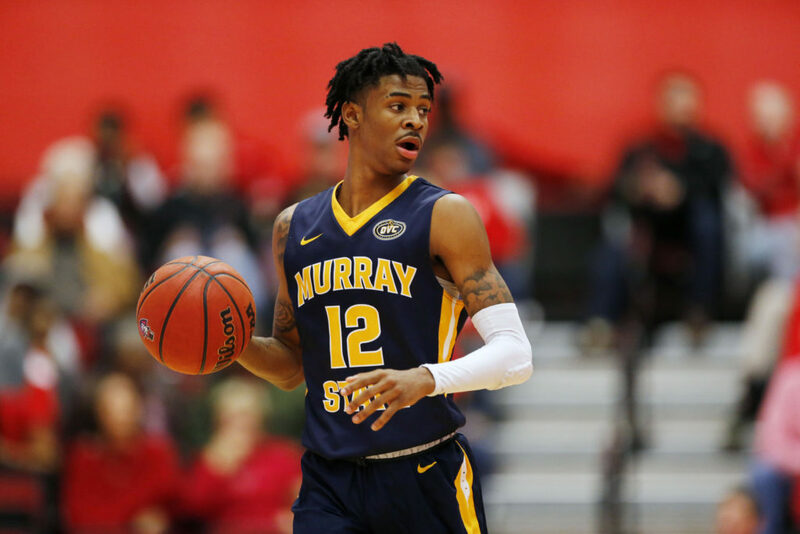 Simply put, Morant is good enough to lead Murray State to the Sweet 16 by himself. Barrett entered the season as the country’s most ballyhooed freshman. He hasn’t disappointed much — as he’s averaged 22.9 PPG, 7.5 RPG, and 4.1 APG on 45.7 percent from the field and (a poor) 30.4 percent from three. Barrett’s shot selection has been questionable at times, as has his defensive effort. However, he’s still a young player. Those are aspects of Barrett’s game which will get better with time. The Canadian is still an elite scorer from all spots on the floor. He will be a top-three pick come June. 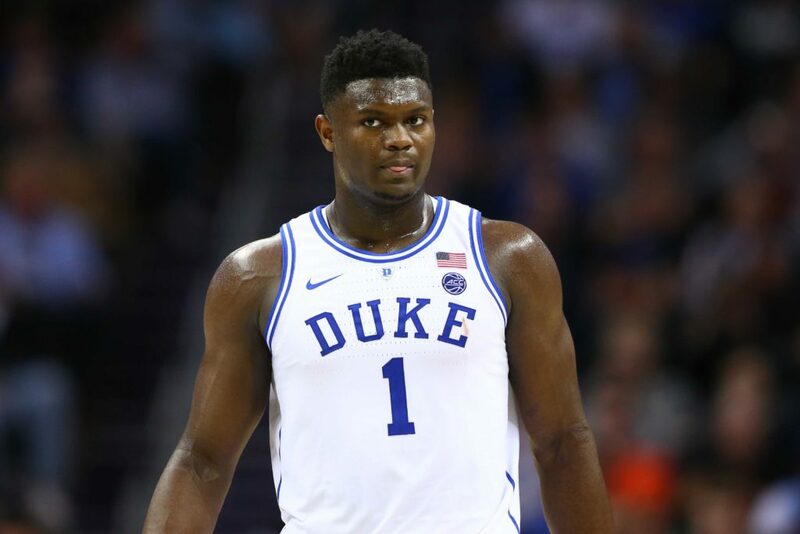 We really don’t need to delve into Zion’s statistical accolades. The man-child is the best player in all of college basketball. 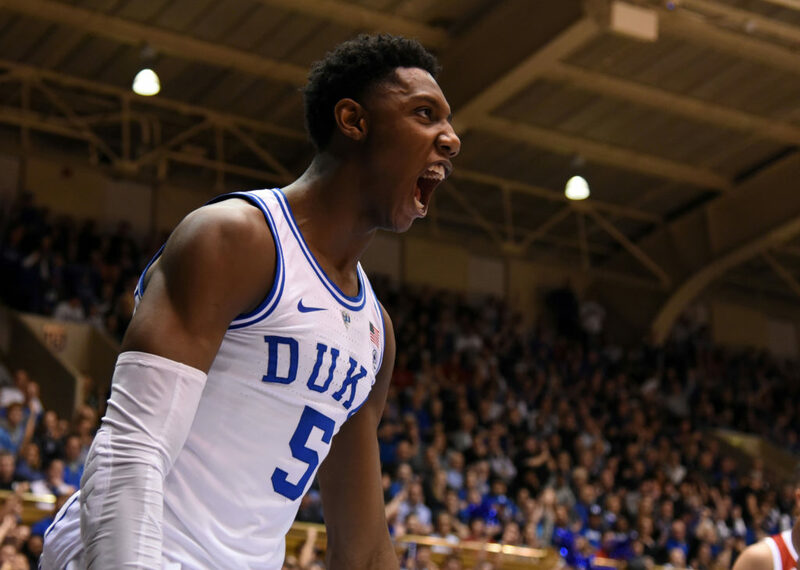 His impact on both ends of the floor gives Duke the highest ceiling of any basketball team in the college game. Williamson’s combination of leaping ability and sheer mass makes him nearly impossible to keep off the boards. He’s also got terrific ball skills. At his best, Williamson is grabbing rebounds and pushing the ball up the floor in transition. It will be fascinating to see whether Williamson can lead Duke to a title, and thus cement his legacy even further.